The release also noted that Williams was interviewed this week by Matt Lauer, and presumably there will be more mea culpas in the segments airing Friday on Today and NBC Nightly News. 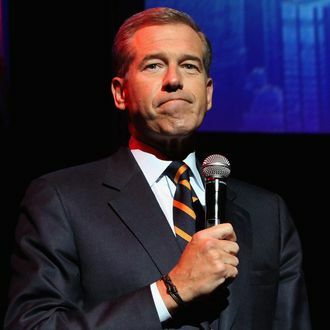 Williams spent time with staffers of his former program, the NBC Nightly News, on Thursday afternoon, shortly after the network made it official that he will not return to the newscast. It was “incredibly emotional,” and some people choked back tears, said an attendee, one of two people familiar with the meetings who described them on condition of anonymity.